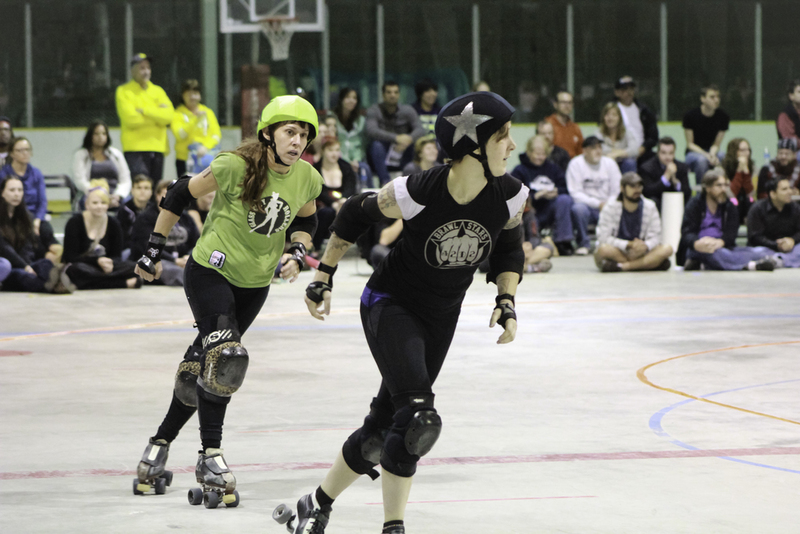 Slamlet is flanked by Brawlstars teammates Courtnasty (left) and Lethal Bo Peep (right) as they block Lansing's jammer during the championship game of the Mitten Kitten Mash-Up North tournament in Kalkaska October 13, 2013. Ultimately, the Brawlstars reigned victorious 256-151. Photo by Chris Switzer. I love you. All of you. Want to know why? YOU ARE SAFE. Sure, we all have our moments when our skating isn't the best. We get low blocks and accidentally punch our friends in the face. But it isn't our norm. League scrimmage nights almost always feel safe and under control. Even our newer skaters work really hard to improve their skills to be safe skaters on the track. This makes a Dime a really great person to skate with or against. YOU KNOW THE RULES. You know what not to do and do your best to not commit blatant penalties. Skaters who don't know the rules are working to learn them. Perhaps more importantly, skaters who don't know the rules as well are willing to LISTEN to people on their team/line who do. This makes a Dime a super smart teammate, a clean player, and a threatening opponent. YOU ARE ATHLETES. Roller derby is more than a culture and a place to make friends. It's a sport, and your treat it like one. Sure, you wear booty shorts sometimes, but you're always striving to back your show of playfulness with pure skill and hard work. This makes a Dime well-respected and someone to be taken seriously. YOU ARE GOOD PEOPLE. You don't snark the opposition to be mean. You don't say disrespectful things. You don't get out on the track with the intention of hurting people or exacting revenge. This makes a Dime someone you always want around. I am so thankful to have you as teammates and leaguemates. I can depend on you. I can expect good things from you. And I can stop yelling so much. So, keep on trekkin' down the path you're on. You are a Dime. You stand out in a crowd for all the right reasons. You have worked hard, and it's paying off. People will look up to you, will look to you for leadership, will admire your knowledge of the game, and will be jealous. They might even think you're a bit pretentious (I mean, listen to me, I'm already there! Oops.). Be proud. You're a Dime. And you're doing it right. 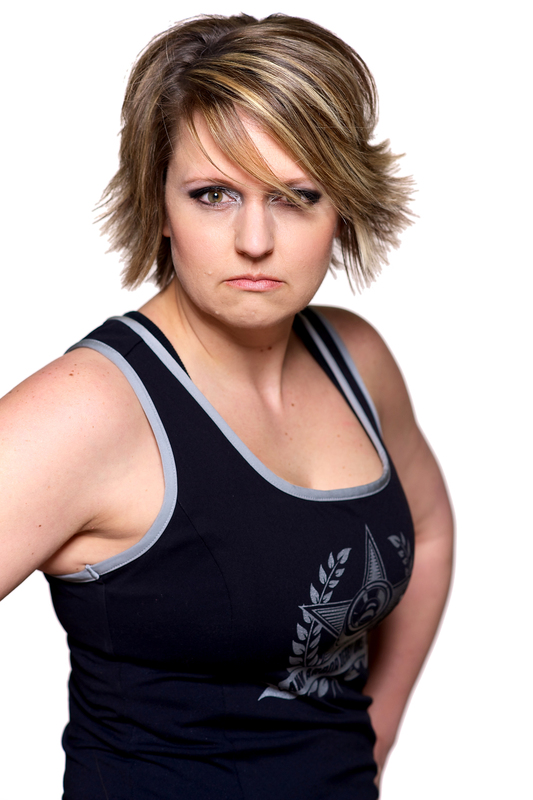 Posted on January 20, 2014 by Slamlet and tagged Roller Derby Brawlstars Ann Arbor Derby Dimes Athletes.